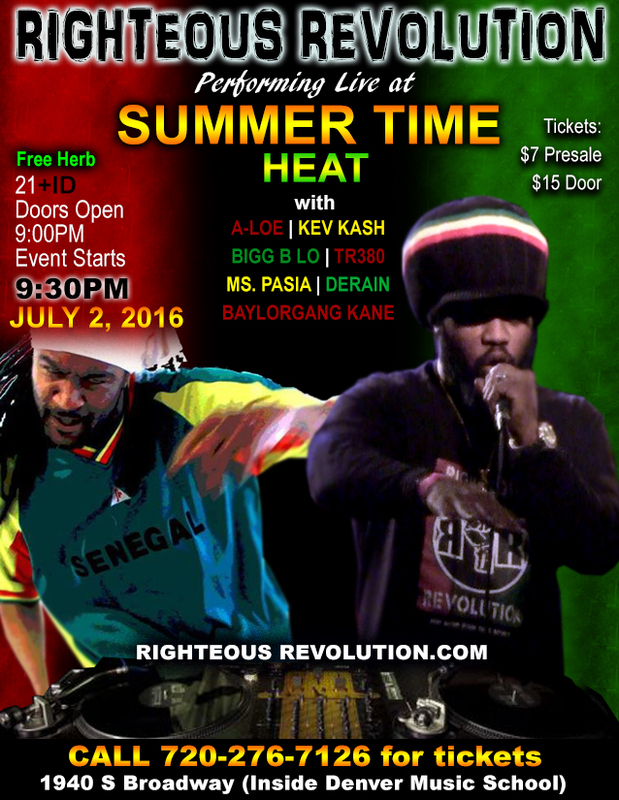 Righteous Revolution to perform at Mile High Madness! April 10, 2015 Friday Night. 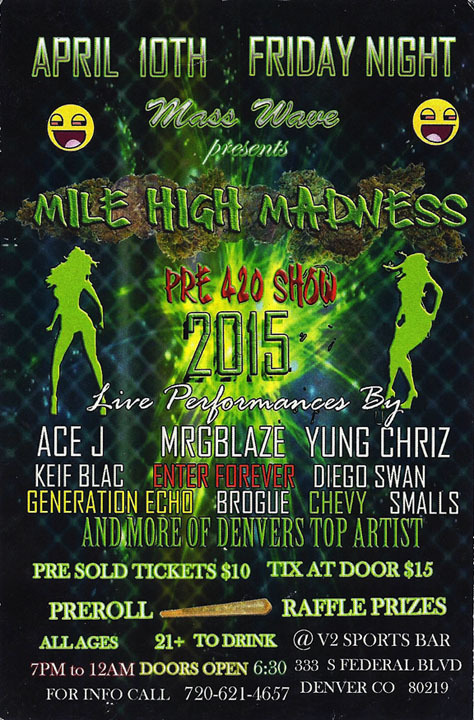 Mass Wave presents Mile High Madness. Pre 420 Show. Call 720-276-7126 to pre-buy your tickets! ALL AGES, 21+ to drink.